Did sauropods walk with their necks upright? They could get as long as 40 metres and as heavy as 100 tons, making the earth shake literally as they walked. 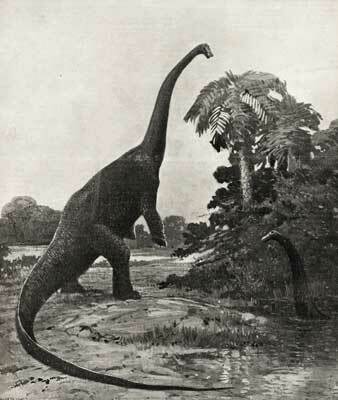 These were the sauropods: the gentle giants that were believed to have sticked their necks out in front of them. Even though we’ve seen them this way in museums and documentaries such as BBC’s Walking with Dinosaurs, new studies come to prove that they had a majestic, swan-like posture. The base of their necks was strongly curved upwards, so unless they held their heads totally different from any other known creature, the general opinion we have about sauropods is mistaken. Hard to imagine a 40-tonne swan? Well, this hypothesis seems to be the most likely to be true after the scientists studied vertebraes from cats, rabbits, turtles or crocodiles. By putting the dinosaur bones together, an S-shaped curve emerged, a curve which proves the new theory. The bones alone suggested that the sauropod’s posture was horyzontal. However, some still refuse to believe the new eveidence, even though that would mean that these dinosaurs held their heads in a way no other creature has ever done. Of course, such mistakes are not abnormal in the world of paleontology. 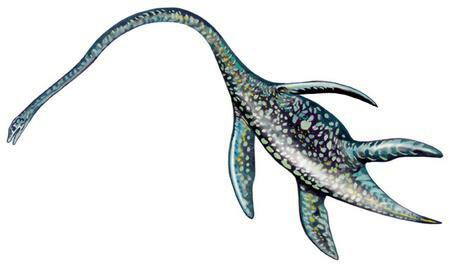 At first, when the elasmosaur was discovered the scientists placed its head on the tip of its tail, where it remained until someone noticed something was wrong. But in this case, the shock was bigger as it meant that most assumptions about their behavior are wrong. The way they spotted predators, the way they fed as they could reach other types of food, their part in the food chain, it would all have to change. Of course, it’s impossible to know for sure as these creatures have disappeared a long time ago. Other specialists claim that the sauropods may have had a vertical posture now and then, but that they had to come down in order to drink. So, no mistake in the way the dinosaurs are depicted in museums, right? Well, this idea is far from being new as in the 50’s it was considered to be the correct one. However, it was later suggested that their blood pressure would increase to a catastrophic level because of the vertical posture. A two-tonne heart would be necessary in this case, which was way too big. But another “maybe” comes to discussion. What if they found a solution symilar to the one found by the giraffes?